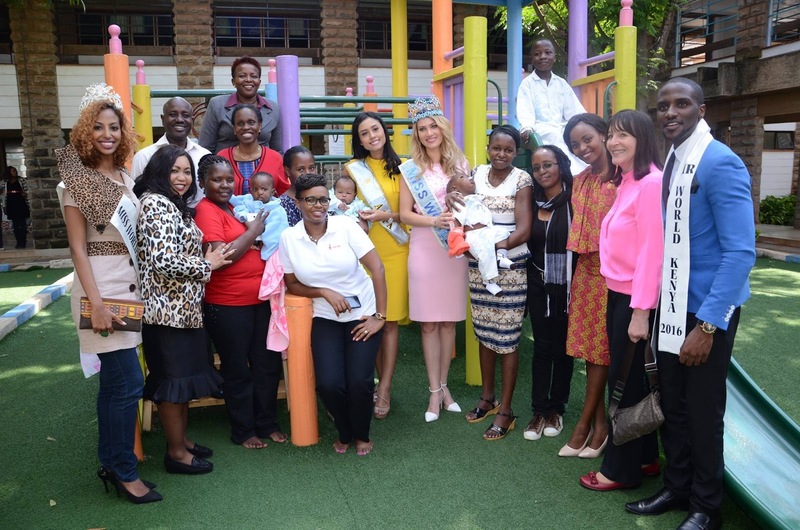 The reigning Miss World, Mireia Lalaguna from Spain, has arrived in Kenya accompanied by Miss World CEO, Julia Morley, Miss World Events Director, Steve Douglas and 2015 2nd runner-up, Maria Harfanti from Indonesia. The delegation will show their support to various charitable initiatives undertaken by the national organization in Kenya. There is also a bid for Kenya to host a future edition of the Miss World Pageant.